In the summer, we have to deal with moisture in all it's forms. On sunny days, we run the risk of having our makeup sliding off our face because of the sweats and on rainy days, well, that's pretty self explanatory. If there's a festival or concert on during the summer months, you're pretty much guaranteed it'll rain that night, so it's best to be prepared right? 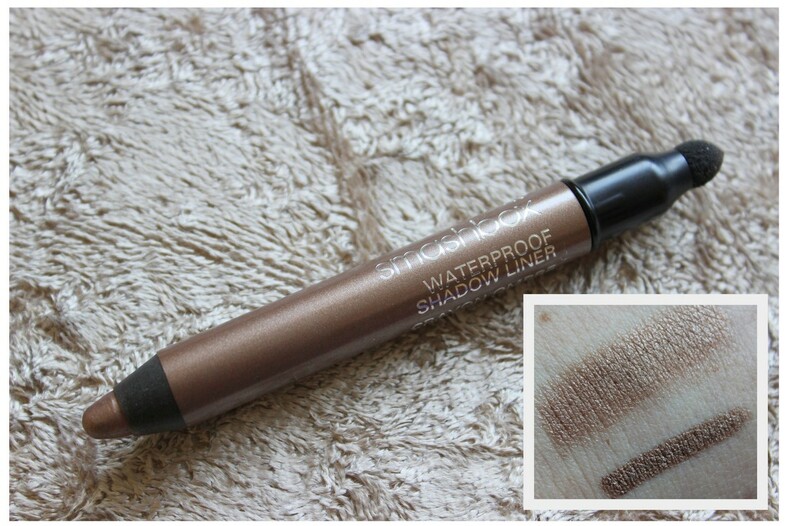 I was given this Waterproof Shadow Liner from Smashbox at the end of last year and I've only gotten around to playing with it recently. While metallic nails in the summer don't really float my boat, metallic eyes are a whole other story! There's something about having a bit of a tan, false of course, and the sun hitting off your metallic liner or shadow that makes me feel like summer is here. There are six shades in the Waterproof Shadow Liner collection from Smashbox and I'll be showing you Metallic Marble in all it's finery. The waterproof, crease resistant formula keeps everything in place and in my trials, it's stayed put all day without a crease to be seen. One end has the liner and the other has a little smudger that's actually quite good for blending if you're using the product to line the eyes. Ok, so if you're going to use it as a shadow, I'd advise having a fluffy brush or your ring finger at the ready because this stuff sets quickly! I apply the liner directly on my eyelid in a messy haphazard way, bringing it up to the crease. Then I take my fluffy blending brush and work the product into the skin, blending out any harsh lines. If I want to add a bit more colour to the crease, I find that applying the liner directly to the brush and then blending it into the crease means that I'm not adding too much extra colour and it still blends easily with a nice gradient. You can take the liner under the eyes too and blend as you go. 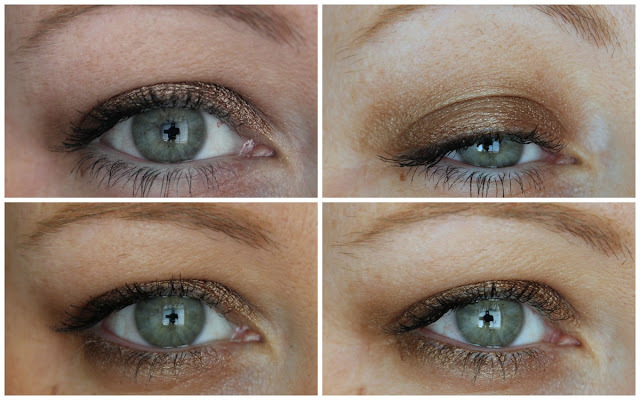 This gives a subtle, everyday look that will make your eyes sparkle! If you want to try using the product as a liner, then have at it. 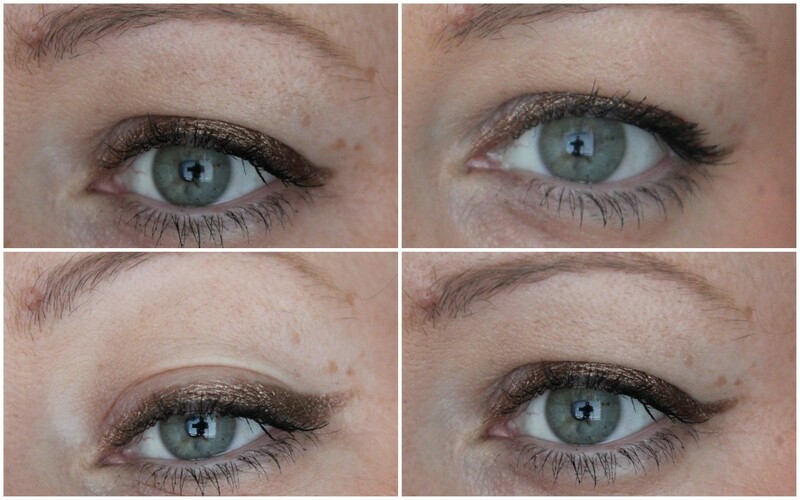 I played around with it a bit in the photos below, elongating the wing at the outer corner. I didn't use any special brushes or tools and it was so easy to give a quick flick of colour that adds a bit of interest to the eyes. And if you're in a rush, all the better. Slick it on and bam, good to go! Metallic Marble is €19 and is available on Smashbox counters now. If you've got a summer holiday coming up, then this is something that is a) travel friendly, b) multifunctional and c) gorgeous. Beautiful!! I'm glad that it looks similar to rimmel bad girl bronze otherwise I would be vvvv tempted! Amazing colour on you! Really like this one! Love it when I'm searching for swatches of something and find them on a favourite blog! This looks beaut on you - I'm looking for a colour like this as a liner as find darker shades a bit harsh on me in winter.